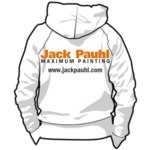 The inception of the Maximum Painting Platform launched August, 2015 marks 16 years of Jack Pauhl coming full-circle. In the beginning, Jack Pauhl was created to share painting information with local painting contractors. The website provided a valuable resource for containing information that would be used and referenced continuously over the last 16 years. Today, all of the information will live here on the new Maximum Painting Platform. It serves as the hub for Articles, Case Studies, Podcasts, Videos, Guides, etc. and will coexist inside a forum to allow users to engage with the information. Provide the absolute best resource of relevent painting information online without the nonsense. Over time, the Online Maximum Painting Platform will contain every single post ever published in the last 16 years by Jack Pauhl. The platform will provide the largest structured and searchable library of painting information ever published to the public. All previously deleted posts around the web and Facebook will be restored. With 111 books of information and 2,761 documents containing over 1 million words, it's going to be HUGE! The purpose of the Jack Pauhl Online Platform is to provide a place, free of charge, where painting enthusiast can exchange tips, tricks, ideas, information, and help other members. Members can showcase their accomplishments and share their enthusiasm for the trade with others. Some of the benefits of the platform include the ability to get help from other members at all hours, a place for support, a place to make friends with similar interests, and the ability to find other paint contractors nearby. The Jack Pauhl Online Platform is not a public message board in the sense that any and all content is allowed. It is a Private Online Platform that is heavily moderated to maintain a friendly, fun, family-oriented atmosphere. It is open to both do-it-yourselfers, professional painters and industry experts alike. We reserve the right to remove any posts. Any members that choose to disrupt the atmosphere we are trying to maintain will also be removed. All that said, we want you to be a part of the team and would like to hear about how we can make the Jack Pauhl Online Platform a better place for you. So, take a minute to create a New Post and share your thoughts with us. We look forward to hearing from you. All criticism is welcome and encouraged. Our mission is to be sure painting evolves. As we have discussed at length, your knowledge of painting and ability to help others solve problems is invaluable. However, your ability to identify and solve problems that we didn't know existed is what keeps us coming back for more. Because this is what most of us value, it may be more beneficial to have a systematic approach and focus on specific topics rather than uploading posts on various topics. I am faced with a very daunting task of uploading literally thousands of posts that make up the overall system and sub systems. For the most part, everything found here will be related to the overall system including my thoughts and decisions arriving at solutions. To explain the complexity simply, we could talk about rolling for 8 hours a day, for a week to get a decent understanding on the topic. It all depends on the level of detail we take any given topic. For consideration, maybe it would be best to pick one topic a week or month and focus on the topic in detail. Always open to suggestions. If we treat it like you were standing next to me on one of my jobs, you would be learning how to roll a wall for a week or more. After doing a quick search on my hard drive on "rolling" I am presented with countless posts on the topic of rolling. The search may include back rolling when spraying. Regardless, each post is related to "rolling" in one way or another including products used for rolling, frames, covers, buckets, pans, grids, 6 inch, 9 inch, 18 inch, extension poles, techniques, problems, solutions, comparisons, benchmarks, rolling doors, rolling large flat surfaces, rolling tight, uniform, rolling clears, etc. 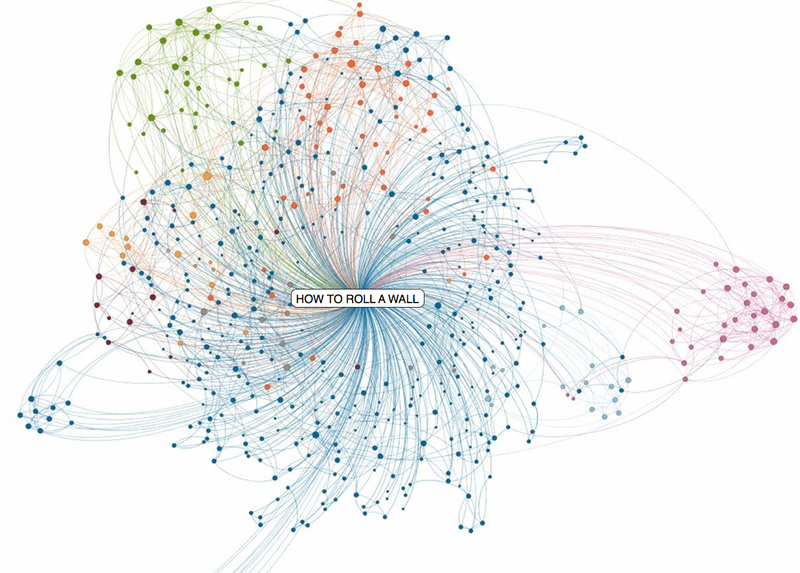 This is where any single topic such as "rolling" could be as detailed or summarized as much as we want. The idea is to have all of these pieces of the system on the platform so when someone searches for "rolling" they are presented with the best results. Because this is what most of us value, it may be more beneficial to have a systematic approach and focus on specific topics rather than uploading posts on various topics. Example: If you take 10 different painters they will most likely each have a specific topic they want to learn about. How does one systematically go about meeting every painters individual needs at once? Focusing on 1 or 2 topics only helps a few painters needs. Based on the complexity of Brian's systems...I think what Brian is doing is best for meeting everyones needs over a period of time on a forum base, plus its better to get bits of info overtime vs all at once so you learn and implement the systems better. If a person needs help with a specific topic right now "instantly" then it would be best for there to be a nice collection of topic specific Guides (Like the brushing guide) one could buy ...then beyond that it would fall under one on one coaching if one still needs help with that topic. Im sure Brian can do one on one, on any topic right now, for a small fee! I noticed Brian offers instant help for cheap right here. you take 10 different painters they will most likely each have a specific topic they want to learn about. How does one systematically go about meeting every painters individual needs at once? Focusing on 1 or 2 topics only helps a few painters needs. That kind of discredits my point that the real value Brian provides is identifying problems and solutions to problems we don't know we have. Focusing on 1 or 2 topics at a time would help almost all painters if 99% of us don't know we have the problem. Also, many of Brian's processes are interdependent on other processes within his system. Even his brushing guide is dependent on products and other processes such as rolling first to reduce the amount of bare drywall. Therefor, his solution to various questions may only work if the other processes within the system were followed. He would only have to develop this once and you would end up with the same repository of information you are referring to anyway. jpmallory0718 I guess I misunderstood your original post so could you please explain yourself better and/or give me a detailed outline of what your wanting the forum to look like? Love the feedback! This is just an insight piece. I think a little backstory is in order. Why does Jack Pauhl exist? The Jack Pauhl site has over 15 millions views since launch. What were people searching for to discover Jack Pauhl? People were searching for answers to common questions about painting. They weren't searching for mainstream answers. They were searching for answers to mainstream problems. The content as a whole is the result of providing solutions to common problems as they came in from the site. Other content is the result of providing solutions to problems personally experienced working with hundreds of painters in addition to countless problems experienced being in business for 30 years. The testimonials for the valuable content on Jack Pauhl reached over 1,000 many years ago. The single common thing about Jack Pauhl's existence is the content was created by painters, for painters. I am not trying to spin our industry problems in any way or convince anyone to paint a certain way. The systems I use practically created themselves as a result of learning what not to do based on problems readers experienced. With 15,000,000 views comes countless more questions from visitors. As a result, there are thousands of posts about various topics. Some of the posts might seem a bit random at times. They do serve a purpose. That purpose being that something in particular keeps resurfacing. People keep asking many of the same questions with slight variations specific to various scenarios. The enormity of the content is very complicated. Once the content is in place, I am not exaggerating, it will be the most comprehensive library of painting information ever published. Easy enough, right? Just copy and paste. Far from easy, it is very hard work and extremely time consuming to produce real data that proves a proposition in contrast to mainstream painting. For me, it has to work in real life. In order to effectively educate someone on any given topic, a deep understanding of all the intricacies needs to take place. Otherwise, what would make Jack Pauhl any different from any other source online? If we are going to learn about rolling a wall, we are going to learn book style Monday through Thursday and get our roller wet on Friday for 5 minutes. If you're looking for quick fixes and basics, there are countless sources online. But if you want to stand out in our industry and become really good at painting, it will take a deeper understanding of everything. There is no shortcut to success. No one has analyzed this industry the way I have. That is why the results of what I post and talk about are extreme and very different from what you will find anywhere else. I understand painting on a deep level. With the knowledge acquired over the years, I have established what is irrelevant within our industry. ALL of the systems created make mainstream methods painters use obsolete. I have definitely accomplished that goal. Surely I can simplify the complexity of a system and tell people how to paint a wall, but that process is useless without understanding why. Thousands of questions that came into the site led to thousands of answers. I am simply uploading the content to a single platform so the entire library of scenarios is searchable, relatable, and relevant. It is essentially the content coming full circle. The content comes in broke and goes back out fixed. For example, if there are 400 posts on rolling, each posts needs to be understood before we pick up a roller to experience the result of the system it was designed such as the rolling seen in How to paint a room in 6 minutes. It's not likely anyone can read a quick How To guide on rolling and produce a similar result without knowing how it was possible in the first place. Here is what you'll discover. By understanding all of the various posts on a given topic, the "system" you are searching for will have created itself by understanding all of the parts.